William J. “Billy” Walker, Jr.
From the time he was a little boy, Billy Jr. dreamed of following in his father’s footsteps as a firefighter. Billy Jr. had a natural desire to help others and started his firefighter career early serving alongside his father as a junior firefighter with Cherry Hill Fire Department Station 13-5. 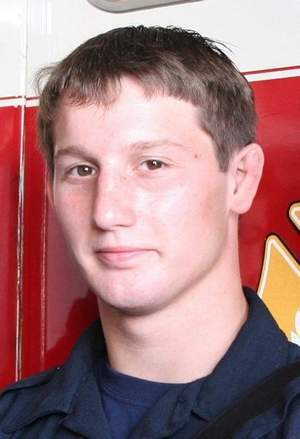 After high school Billy Jr. enrolled in fire school and volunteered as a firefighter at Cherry Hill Fire Department 13-5, Pennsauken Fire Department 11-6 and Maple Shade Fire Department Station 101. He was employed by Exceptional Medical Support as an EMT in Atlantic City, NJ. Billy Jr. was loved by his co-workers in Atlantic City for his good humor and passion to help those in need. While still a young man, Billy Jr. stood tall among his peers ready to protect those in need. When he wasn’t working, Billy Jr. was a devoted family man and had a great love of family, friends and community that went unmatched. He was an inspirational young man and will be dearly missed by all.